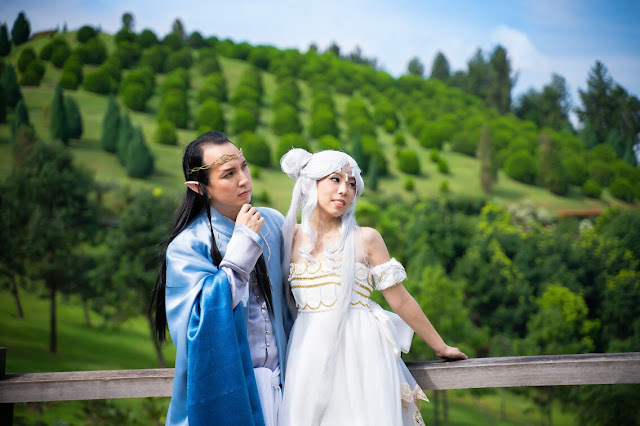 Contrary to what movies and TV shows (*cough* “Big Bang Theory” *cough*) would like us to believe, there is such a thing as a wedding where both the bride and groom will happily set cosplay as its central theme. 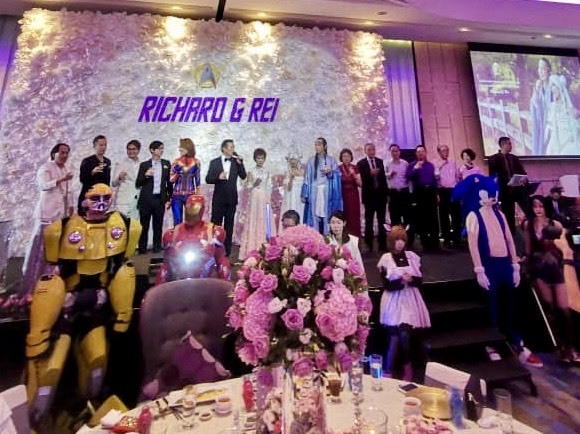 Meet Richard Chua and Rei Lim, who tied the knot recently in a wonderful story book – nah, comic book – wedding. 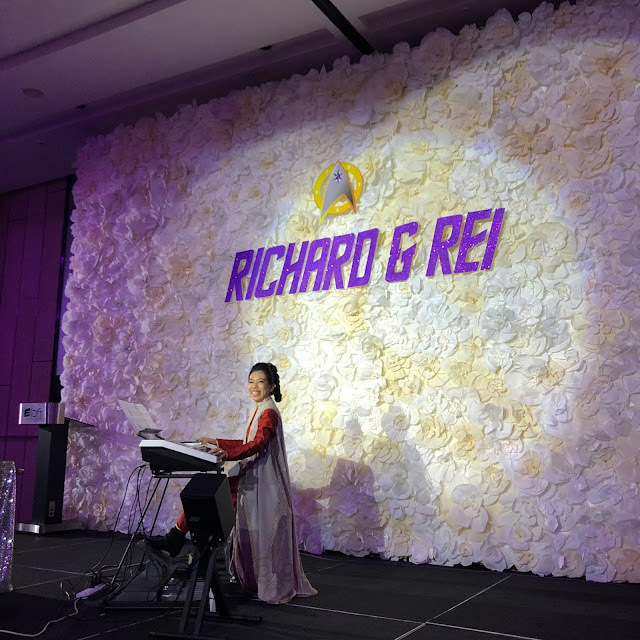 The newlyweds met in 2017 at a “Star Wars” Malaysia Fan Club (SWFMC) event called After Dark, where Rei was performing “Star Wars” music on an electone while Richard was speaking about the recent “Star Wars” Celebration convention in London. Rei played the electone at their wedding too! 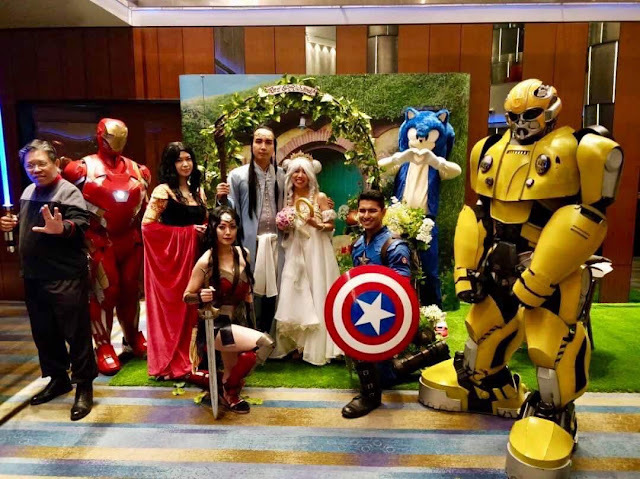 What made their wedding extra wonderful is that fact that it wasn’t only the happy couple who dressed up in their favourite pop culture characters, even the guests were just as gung-ho, giving the wedding ceremony quite a Comic Con kind of vibe. “In terms of cosplay, we have numerous friends who are cosplayers so they were happy to come in costume and support in other geeky ways,” Richard told Cinema Online in an interview. 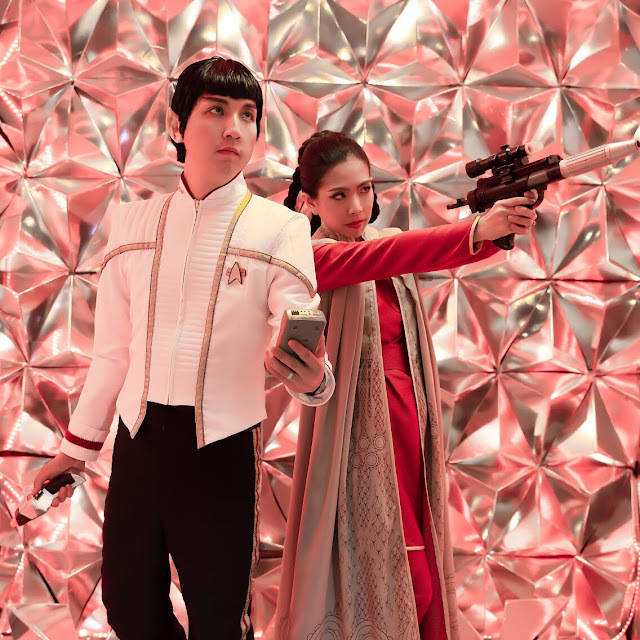 The newlywed admitted that a wedding with such a unique theme did pose a couple of challenges, such as guests who were amused but declined to attend in cosplay getup and having to balance expectations of Chinese wedding traditions versus what he and his bride wanted from their theme. 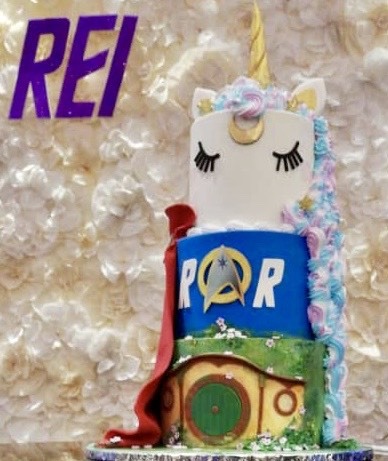 Elegance with a touch of geeky pop culture. How cute is this wedding cake? 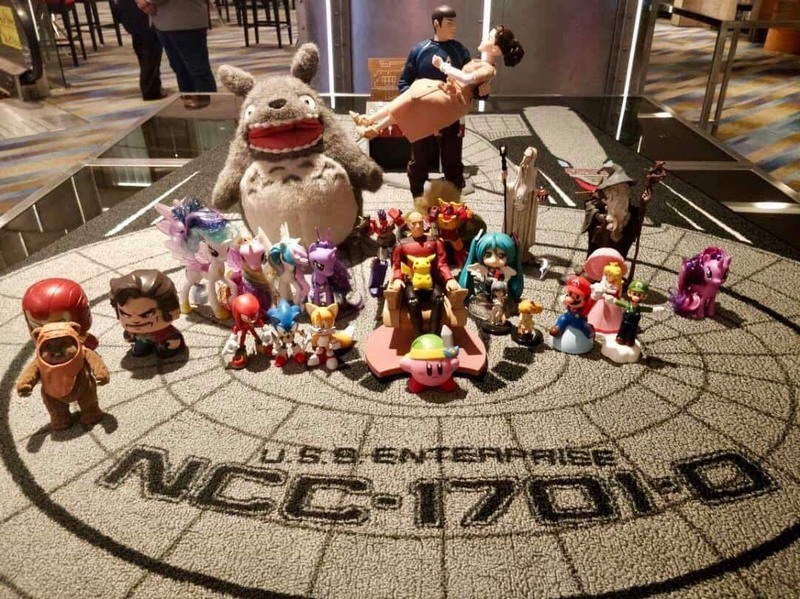 where no newlyweds have gone before. Another beautiful snap from their pre-wedding shoot. you’ll know the story behind this.